GIF or TIFF? JPEG or PNG? If the mention of these acronyms makes your head spin, fear not. 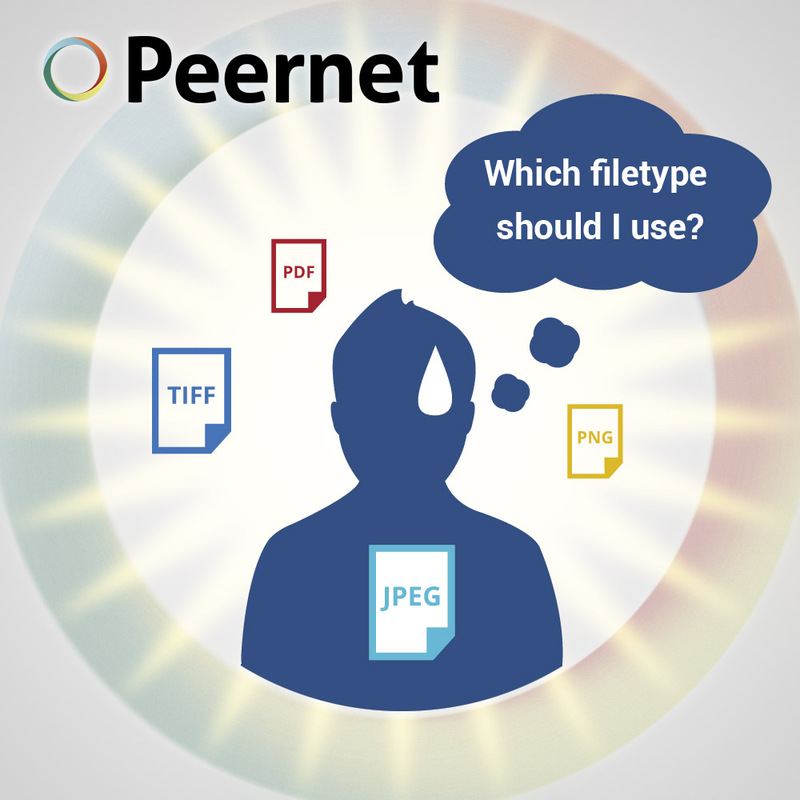 There are lots of different formats for digital images, and they all have their purpose. When it comes to image types, there are a few things to keep in mind when determining which one will fit your needs best. In this post, we’ll take a look at four of the most common image formats currently used around the home or office and explain the benefits or drawbacks of each format. Compression: Is it important that the particular image remain true, or is it okay to sacrifice some quality in exchange for a faster loading or sending? File Size: Do you have more storage space than you’ll ever fill up, or are you working with limited hard drive or server space? Speed of Transmission: Do you plan on sending the file frequently, like within emails, or documents? In the early days of the web, the GIF was widely used because of its ability to compress images into very small file sizes. Back when everyone was on dial-up Internet connections, that was crucial. As people started to adopt cable and DSL connections over time, the popularity of GIFs gave way to JPEGs, which are larger files, but boast better image quality than GIF. But the scrappy GIF has made a comeback in recent years, because of animated GIFs: – small image files that load quickly and are essentially looping mini-movies. BENEFITS: Small file size allows for quick loading. DRAWBACKS: Standard GIFS can only render from a 256 color palette; are not suitable for use in professional applications like publishing. This is probably the type of image file that you see most often in your day to day life on the Internet and with most digital cameras. JPEG is a compressed image format which drops unneeded color information that can’t be detected by the human eye from the image. This is known as lossy compression and is what allows JPEG to achieve such small file sizes. JPEGs work best when dealing with photographs and documents with smooth variations of color. It is not a good choice for textual documents or documents with solid color objects as the sharp lines between colors will create artifacts in the image, causing the text or objects to have a ringed appearance. BENEFITS: Most widely-used image type, widely adaptable. Compression can be adjusted to achieve a balance between the quality of the image and the file size. DRAWBACKS: JPEGs use lossy compression which means that image quality is lost in exchange for size; not suitable for text documents. PNG is a lossless compressed format, which makes it good for both photographs and text documents. A PNG will generally be larger than a JPEG, and sometimes smaller than a TIFF. Interestingly, it was originally developed to replace the GIF, but the formats are drastically different, and both have a place in today’s computer environments. PNG supports more colors than GIF images as well as improved transparency. It is a useful format for line graphics and wordmarks as the lines and text will show up crisply and cleanly in the output image. BENEFITS: Compress images without losing quality; suitable for text documents. DRAWBACKS: Larger file size than JPEGs; not suitable for professional quality print graphics. TIFF is a very adaptable format that allows for multiple pages in a single file, similar to a PDF document. TIFF also supports both lossless and lossy compression, allowing for each page to be compressed differently. Of all the image formats, this one is the best solution for digitizing workplace documents. TIFF can be compressed using JPEG compression, which is lossy but combines the reduced file size with the ability to have multiple images in one file. When comparing TIFF vs PNG, similar to PNG, TIFF can be a lossless format, which means that essentially, what you see is what you get. It is commonly used in the layout of newspapers, magazines and the like, because a TIFF (or TIF) will appear on the printed page just as it appears on a computer monitor. That also makes it a good choice for scanned documents – and actually, that’s exactly what the format was first developed for in the 1980s. BENEFITS: Can have more than one page per file (multipaged); can be lossless to allow editing and re-saving without losing image quality; the choice of document archiving and publishing professionals worldwide. DRAWBACKS: Not all TIFF image viewers support viewing multipage TIFF images. BMP (Bitmap): This is an old image format that is still used on rare occasions, but mostly has been surpassed by other formats that are more useful in the modern computing environment. Vector images or vector graphics (variety of file extensions): These are images that are composed of paths, with a start and end point, and other points along the way to describe lines, squares, arcs and curves to create simple or complex images. This allows them to be scaled to virtually any size with no loss in quality. Vector formats are widely used in the professional design community and are created by such applications as Adobe Illustrator. RAW (variety of file extensions): Digital cameras have the option to shoot in this format, and most professional photographers prefer it as it allows them to save their image with minimal loss of information to be later edited. RAW images are very large and the files must eventually be converted to a different format such as JPEG to be viewed and shared practically.